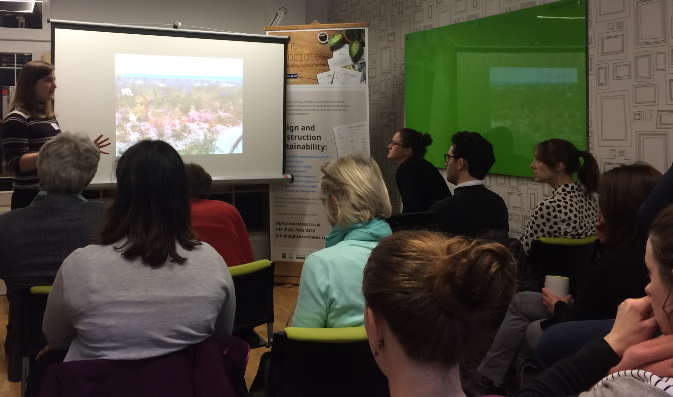 Eight Associates held a well-attended breakfast seminar “The power of green space“ today, which explored the social, economic and environmental value of using green space within and around buildings and in public spaces. The delegates were interested to learn that having a well-managed green space nearby results in average property premiums from 2.6% to 11.3%, with greener areas having a better image and attracting more visitors, in turn bringing retail and leisure spending and providing job and rental opportunities. There was an informed discussion of the multiple health and well-being benefits, including improvements to air quality, mental health, physical health and activity, visual amenity and quality of life. The applicability of various options, such as the use of trees, rain gardens and green walls and roofs, and other climate change mitigation impact considerations – sustainable urban drainage, biodiversity and ecological impact – were debated. Two contrasting case studies highlighted the power of green space in practice; firstly, the retail, natural and Wildlife Centre space, Rushden Lakes, and secondly, North West Village at Wembley Park, a high density urban residential scheme of 474 dwellings. Thank you to our guest speaker, Mark Johnson, Director, UBU Design. 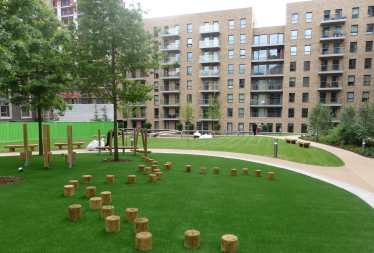 If you are interested in the power of green space, the Well Building Standard or any of the topics mentioned above, please get in touch: Tel 020 7043 0418 or Email info@eightassociates.co.uk. If you were unable to attend today’s breakfast seminar and are interested in a CPD, please let us know.